✔ Is your laptop slowing down?✔ Encountered blue screen on your monitor? ✔ Could not open built-in software programs? If you experience any technical problems, look no further. Our knowledgeable and experienced IT specialists have the solutions to repair any kind of laptops and portable computers. We do not charge by the hour! On-site diagnostic service. We can come down directly to your home or office and resolve your laptop problems. Operating hours are during and after office hours to serve you and your organization better. Repairing hardware defects such as keyboard, monitor screen, battery, audio system and CD/DVD drive. Troubleshooting hard disk and system performance. Screening of virus or infected files. System recovery and back-up of data loss. Troubleshooting network devices such as printers and scanners that are connected to the laptop. 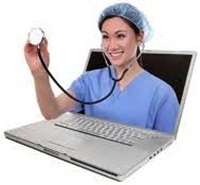 If the same laptop issue arises, we will cover the next visit. Laptop Repair Singapore, your one-stop solution.